When I ordered this bottle of Sigurd from Holland for £102 I thought I was getting an incredible bargain. The only places selling it ‘new’ in the UK were charging £350 and one bottle had sold at auction for £260. Since then several of the mainstream online shops have restocked and are charging a more modest £125. But when they finally sell out, I’ve already seen how good this HP is as an investment. The average score on Whiskybase is OK but not as high as the Whisky Bible would suggest. Nevertheless, it’s clearly a good whisky to drink, as well as one to be considered as an investment. 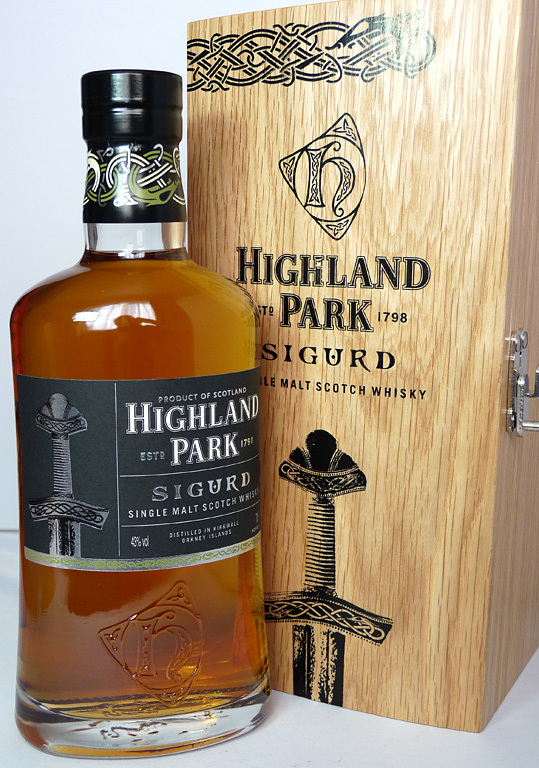 This entry was posted in Highland Park and tagged 43%, 70cl, Best of Whisky, Highland Park, Islands, NAS, Orkney, Sigurd, Single Malt, Warrior Series. Bookmark the permalink.